How can I manually put my professional fees for my in-patients? In-patient fees vary, how do I add my PF for billing? 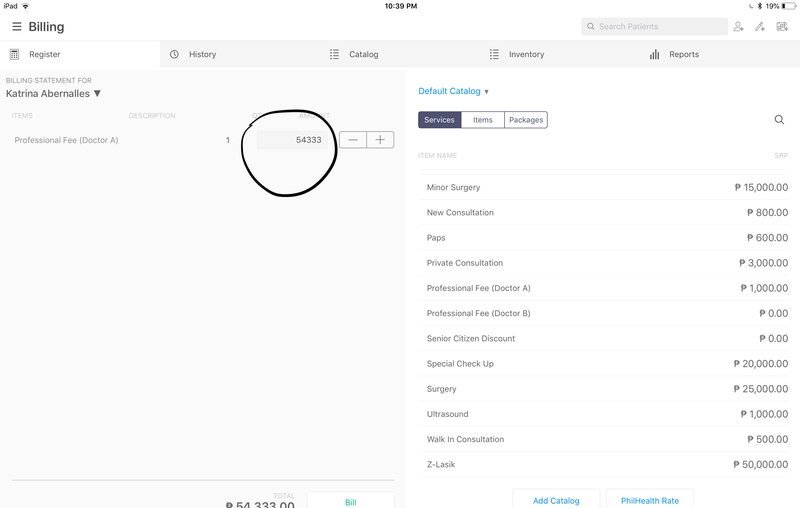 You can add a PF Fee in the catalog and add the price your regularly charge. Then you can adjust it anytime on the Register when it’s time to bill.